Nicky Henderson, the former champion jumps trainer, has a special place in his heart for the Grade 1 JCB Triumph Hurdle. 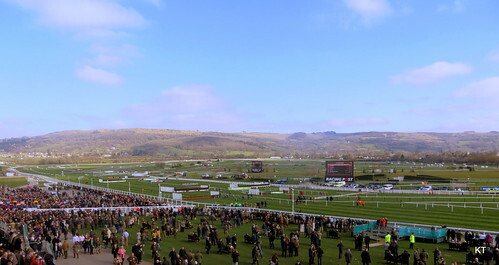 The race is run every year at the prestigious Cheltenham Festival as the opening of the final day of the fixture. Thirty years ago the Seven Barrows-based handler landed the ‘four-year-old’s Champion Hurdle’ with First Bout, ridden by then stable jockey Steve Smith-Eccles. The pair then went on to strike again in the big race just two years later with Alone Success. A succession of near misses through the 1990s came to an end when the smart Katarino landed the spoils in 1999. Meanwhile, in 2009, Zaynar stormed to victory under Barry Geraghty to be followed just a year later by Soldatino, who came from well off the pace to score again for the same trainer-jockey combination. Going into this season’s renewal on March 13, Henderson could well have three of the main market fancies, such is his strength-in-depth in the division. One of the hottest Cheltenham tips is for the exciting Peace and Co, the ex-French gelding owned by Simon Munir and Isaac Souede. The pair also have the unbeaten Top Notch with Henderson, as well as a handful of other likely contenders with a variety of other trainers in Britain and Ireland. It is not inconceivable that Munir and Souede could have at least four horses carrying their colours on the big day. Peace and Co, however, does very much appear the one they all have to beat. He has looked a potential star in the making since joining Henderson in September last year after winning his only start for previous connections in France. He made a massive impression on his British debut when slamming the decent Starchitect by no less than 19 lengths in the Grade 2 Summit Juvenile Hurdle at Doncaster a couple of weeks before Christmas. Generally available at up to 20/1 in the ante-post market for the Triumph Hurdle before Doncaster, he was no bigger than 6/1 after impressing all observers with the way he travelled throughout the two-mile contest. He also showed a good jumping technique. That favourable impression was well and truly enhanced on his only subsequent start, which came at Cheltenham in January in the Grade 2 JCB Triumph Hurdle Trial. Despite taking a keen hold early on, the gelded son of Falco still had enough left in the tank to surge past his rivals from the final flight and beat Karezak by three lengths. Cut to 5/2 from 6/1 after that second exciting victory, Peace and Co is now a general 2/1 shot to land the big race in which his talented stable companions Hargam (13/2) and Top Notch (12/1) also occupy prominent positions in the betting market. Taking his three runners into consideration, you would have to say that Henderson is probably odds-on to win the Triumph Hurdle again at this stage. It is a race that has been so good to him over the years.